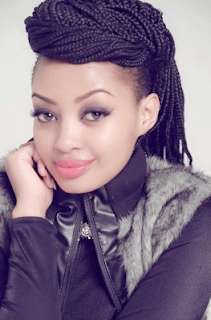 Presenter Anita Fabiola, who hosts the popular Be My Date show on NTV Uganda, has been fired after he randy photos leaked online. Anita’s photos were leaked by a black-mailer was asking for Ksh 1.5 million in-order not to reveal the photos. When Anita refused to part with the money, he released for everyone to see. the pictures of the talented TV presenter have been doing rounds on various social media platforms for about a week and this has prompted her bosses to take stern action against her. “The last week hasn’t been easy; no woman would like to show her body to complete strangers. Much as I am a victim, I feel like I have let you down” the s3xy presenter wrote on social media after they were released. Here are just a few of them, click the link to view more.